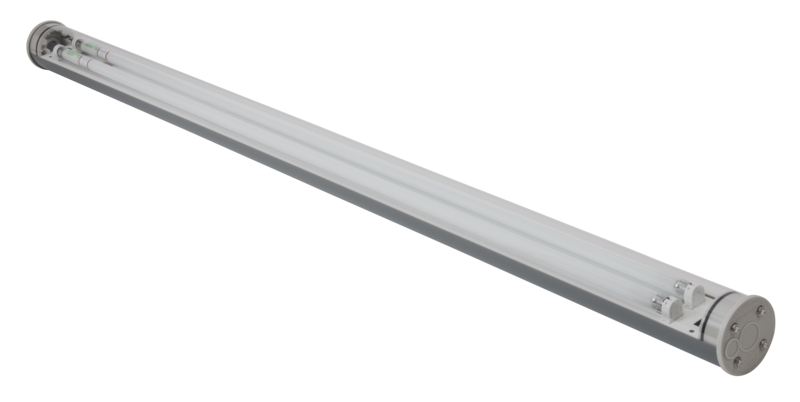 If you need a heavy duty waterproof fluorescent fixture, then you need EncapSulite’s WaterGuard Double T5. This product is similar to our WaterGuard Single T5 weatherproof lighting fixture, but with double the lighting capacity. This makes it ideal for applications that require maximum visibility, such as food processing and other industrial needs. 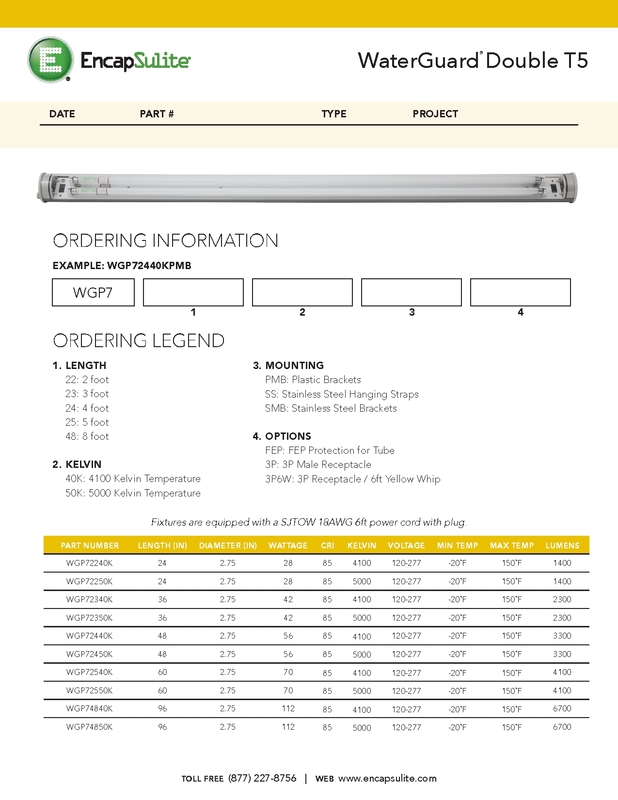 Our WaterGuard Double T5 weatherproof lighting fixtures feature electronic program start ballast with universal voltage (120-277 50/60Hz), and a factory pre-wired with 8’ power cord with plug. A high efficiency reflector system increases foot candles directly under fixture, with T5 safety coated lamps included. Limited 1-year warranty. UL 1598 (wet location) listed. See individual product listings (below) for additional information and specifications.